The people of the Kurdistan Region have been suffering from the neo-liberalism economic system in the region and facing a hardship in every aspects of life. The KRG has cut their salaries to half and yet it does not come on time monthly as it supposed to. The people have started to protest peacefully and demand their basic rights. But, unfortunately, the security and Asaysh forces have been attacking, beating, and arresting them. Some of the key activists have been prisoned since the protest started, one of them is the social forum active member named Ali Syasi. Ali is known as an outspoken and critical of the economic and social system. In addition to that, most of the journalists, media correspondents and cameramen have been arrested and beaten. And the forces have taken most of their equipment unlawfully. We as the supportive groups of freedom of expression of the Kurdistan social forum want to express our concerns about the recent violation of human rights and the abuse that pour people and members face. Hereby, we ask all the agencies to free the activists and protesters as soon as possible. 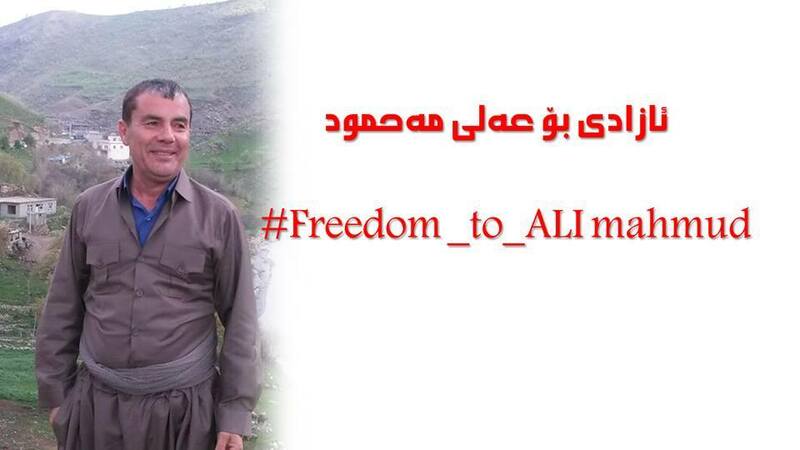 Our member Ali Mahmud Syasi should be free soon and those who arrest him should be brought to justice. All of the people should be treated legally and fair with dignity and legal support. Finally, we fully support the rights of the Kurdistan region people and urge the KRG to take actions to make the situation better. This statement was delivered by the Media Working Group of the Kurdistan Social Forum to the Public Prosecutor of the Kurdistan Region. The violations during the demonstrations were reported by the working group to UNAMI.